Cloud networking introduces a new way to deploy, operate, and manage distributed enterprise networks. It delivers enterprise-class network capabilities via a cloud infrastructure that requires little or no capital investment in additional appliances or IT resources. 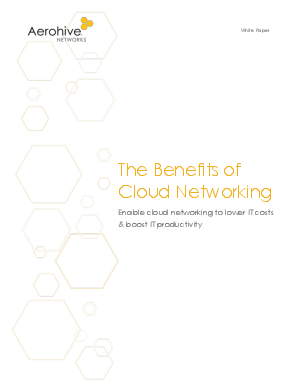 This whitepaper provides details about cloud networking, the state of the cloud market, and its benefits.